Summer camp is a time that children will remember for the rest of their lives. They make friends, play games, learn about the outdoors, play a new sport, and learn how to swim. They try something new or they teach someone something they know. But the main thing they do is have fun in a safe, constructive, supervised environment. Members, please register below. Non-members, please register by emailing chris@hollowrock.com. Please review our Camp Policies here. 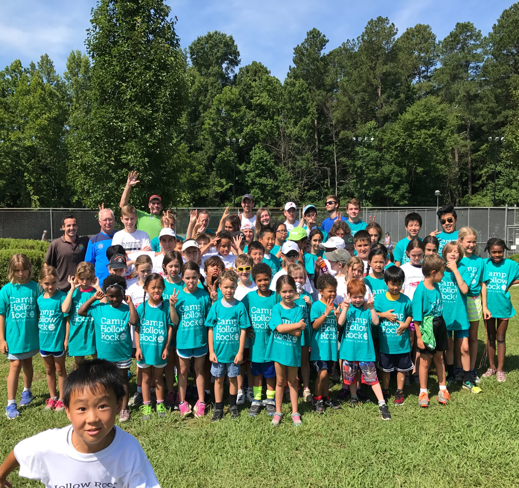 Tennis camp is a day filled with fun fitness, tennis instruction, tennis drills, swim time and match play. Our pros are on hand to communicate effective strategies in matches, as well as ways kids can broaden their love of the game. Non-members, please register by emailing matt@hollowrock.com. Please review our Camp Policies here.